The peacock network has released the Fall 2013 start dates for new and returning programs like The Biggest Loser, The Blacklist, Chicago Fire, Dateline, Dracula, Grimm, Ironside, Law & Order: Special Victims Unit, The Michael J Fox Show, Parenthood, Parks and Recreation, Revolution, Sean Saves The World, The Voice, and Welcome To The Family. UNIVERSAL CITY, Calif. – June 21, 2013 – NBC has announced premiere dates for its fall schedule, which include the launch of two highly-anticipated new shows: “The Blacklist” on Sept. 23 and the series debut of “The Michael J. Fox Show” with back-to-back episodes on Sept. 26. On Wednesday, Sept. 25, the sophomore season of “Revolution” will begin the night in its new time period at 8 o’clock, followed by the season premiere of the 15th season of “Law & Order: SVU” at 9 p.m. in which Det. Benson (Mariska Hargitay) will be fighting for her life against a madman. Highly-acclaimed comedy “Parks and Recreation” will launch its sixth season with an hourlong episode at 8 p.m. Thursday, Sept. 26 that takes the show to London. That will be followed by back-to-back episodes for the debut of “The Michael J. Fox Show,” starring the iconic actor as a father and husband returning to work as a news reporter in New York after a brief leave of absence to get his Parkinson’s under control. “Parenthood,” which is beginning its fifth season this year, moves into the 10 p.m. time period on Sept 26 (immediately following “The Michael J. Fox Show”) with special guest star Ray Romano. “Dateline NBC” will premiere with a two-hour episode Friday, Sept. 27 at 9 p.m. The new Blair Underwood-starring action drama “Ironside” will begin its run at 10 p.m. Wednesday, Oct. 2. The debut for the third season of “Grimm” will begin at 9 p.m. Friday, Oct. 25. That will be immediately followed by the series launch of “Dracula,” starring Jonathan Rhys Meyers as the iconic character returning to Victorian England to seek revenge on those who doomed him to immortal hell. Appropriately, both shows will launch within a week of Halloween. The night will be led off at 8 p.m. with “Dateline NBC,” as the newsmagazine will shift to its regular timeslot. And finally, “The Biggest Loser” will start its newest cycle with an hourlong telecast at 8 p.m. Tuesday, Oct. 8. What do you think? 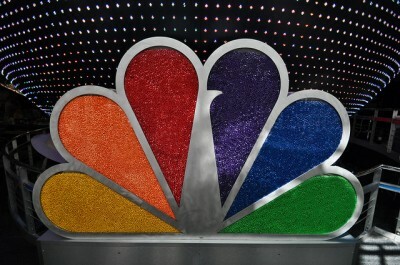 Which NBC shows are you looking forward to seeing return or premiere? The Blacklist: Will It Tank Without The Voice?